This article is 594 days old. Several new road construction projects get underway in City of Windsor this coming week. Each Sunday we will provide an updated list of the current projects underway and the expected completion dates. From Wyandotte Street to Elliott will be open to local traffic only until November 30th. Will be restricted to one lane for road resurfacing until September 8th. From Joinville Avenue to the cul-de-sac will be restricted to local traffic for resurfacing until September 15th. From Armstrong Avenue to Rivard Avenue will be restricted to local traffic for resurfacing until September 15th. From Haig Street to Grandview Avenue will be restricted to local traffic for resurfacing until September 15th. From McMahon Avenue to Grandview Avenue will be restricted to local traffic for resurfacing until September 15th. From Austen Drive to Grandview Street will be restricted to local traffic for resurfacing until September 15th. From Grandview Street to Grandview Street will be restricted to local traffic for resurfacing until September 15th. From Shepherd to Tecumseh Road East will be restricted to local traffic for road & water main rehabilitation until November 17th. From Huron Church to east of Daytona will be closed for reconstruction until September 11th. From Cabana Road to Lennon Drain will be closed for construction until September 15th. From Elsmere to Conservation Drive will be closed for reconstruction until September 15th. Roads will be closed in the vicinity of the new roundabout, which is to be constructed at the intersection of Riverside Drive West, Sandwich Street, University Avenue West and Rosedale Avenue will be closed until September 29th. 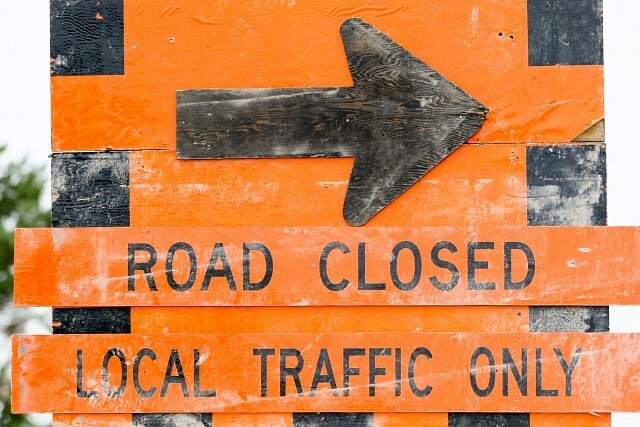 Between Banwell Road and Huron Church Road will have periodic lane closures for storm sewer and culvert relining rehabilitation until November 30th. Will be closed between Ellis Street East to Hanna Street East for sewer, water main and road reconstruction until October 15th. Will be reduced to one lane in each direction for road & water main rehabilitation from Howard Avenue to Hall Avenue until September 29th. Will be restricted to one lane traffic in east and west directions from Provincial Road to east of Howard Avenue for underground watermain and storm sewer installation, road widening, sidewalk and bike lane pavement until December 2017. Will be closed one lane in each direction between Curry to Partington for watermain, milling and paving until September 22nd. Between Prince Road and South Street will be closed for sewer, water main and road reconstruction until September 15th.